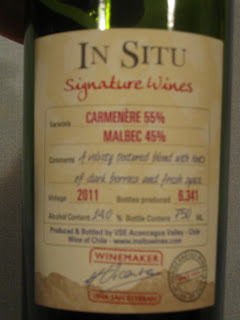 This week, I stumbled across a proudly advertised blend of carmenere and malbec from Chile, so I had to buy a bottle to try--the fact that it was on sale for $5 off the asking price didn't hurt either! 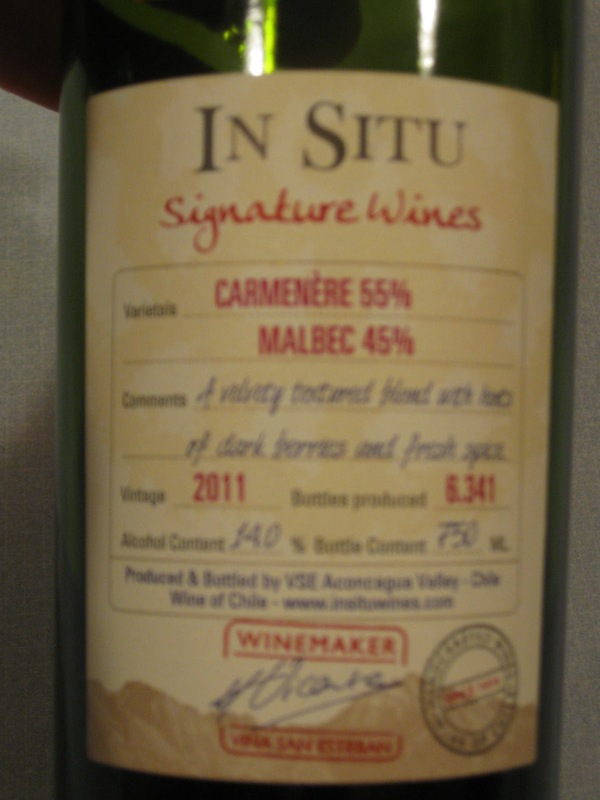 Taste: Rich mouthfeel, medium tannins, spicy (almost shiraz-like) aftertaste that dwindles quickly. Fortunately that makes me want to drink more, but it's not a wine to savor for a long time. I'll admit the label is not impressive. I was drawn by the blend in the bottle, not what was on the surface. The fact that it was on sale tells me I'm not alone in that assessment. A decent wine meant to be drunk fairly soon without the need to cellar before opening. In fact, I can't find a single mention of the wine on the winery website which indicates to me that even the winery doesn't think too highly of this wine. That makes me want to drink some more in a gesture of solidarity! p.s. This did pair quite nicely with a chicken mole that I made yesterday and reheated tonight. The chocolate flavor of the mole brought a lasting spicy finish to the wine.